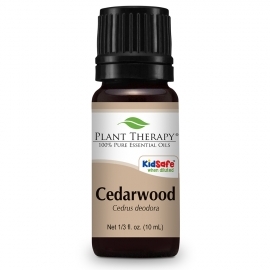 Sandalwood (Australian) Essential Oil. 5 ml (1/6 oz). 100% Pure, Undiluted, Therapeutic Grade. Botanical Name: Santalum Spicatum. Origin: Australia. Extraction Method: Steam Distilled. Common Uses: Sandalwood essential oil is mainly used in perfumery, cosmetics, and aromatherapy. Australian Sandalwood essential oil is considered to have strong anti-microbial and anti-inflammatory properties. Strength of Aroma: Medium. Blends well with: Jasmine, Ylang-ylang, Rosewood, Patchouli, Vetiver and Rose. Aromatic Scent: Sandalwood Australian essential oil has a sweet, rich, woody, exotic and lingering. It is oriental, luxurious, and balsamic with deep & soft aroma. Cautions: Possible drug interactions. Suggested Uses: Add 1 drop to wrist to use as a perfume. Please Note: The International Federation of Aromatherapists does not recommend that Essential Oils be taken internally unless under the supervision of a Medical Doctor who is also qualified in clinical Aromatherapy. Nutmeg Essential Oil. 10 ml (1/3 oz). 100% Pure, Undiluted, Therapeutic Grade. Botanical Name: Pinus Sylvestris * Plant Part: Needles and Twigs * Extraction Method: Steam Distilled * Origin: Sri Lanka * Description: This evergreen tree can grow up to 40 meters (130 feet) and has a flat crown. The bark is a reddish-brown that is deeply fissured with needle-like gray-green leaves that grow in pairs, orange-yellow flowers, and pointed brown cones. It is not as readily available as regular pine trees accounting for the price discrepancy. * Color: Colorless to pale yellow liquid. * Common Uses: Pine Scotch Essential Oil is viewed as an analgesic, antibacterial, antibiotic, anti fungal, antiseptic, and as an antiviral. Aromatherapists credit its use for arthritis, asthma, bladder infections, bronchitis, catarrh, cholagogue, as a circulatory agent, for colds, convalescence, coughs, cuts, cystitis, as a decongestant and deodorant. It has also been applied to eczema, those with laryngitis, lice, muscular aches, neuralgia, psoriasis, rheumatism, ringworm, scrapes, and sinusitis. Its versatility is well documented. * Consistency: Thin * Note: Top * Strength of Aroma: Strong * Blends well with: Citronella, Clary Sage, Coriander, Cypress, Eucalyptus, Frankincense, Juniper, Lavender, Myrrh, Rosemary, Spikenard and Tea Tree. * Aromatic Scent: Pine Scotch Essential Oil has a crisp, fresh, sweet, forest like aroma. It is more resinous and warm smelling than the regular pine oil, with a lower content of turpentine. * History: It was used by the native Americans to prevent scurvy and the needles were used to stuff mattresses and to repel lice and fleas. The ancient Egyptians used the pine kernels in their cooking. * Cautions: Although Pine Scotch Oil is considered safe since it is non-toxic and non-irritant, it should still be used with care on the skin since it can cause irritation in high dosage and may sensitize the skin as well. Oregano (Origanum) Essential Oil. 10 ml. 100% Pure, Undiluted, Therapeutic Grade. Oregano is a very powerful essential oil and its use should be approached with care. Oregano essential oil can be used in cleaning products when seasonal illness is present. When very well diluted, it can also be used for the achy joints associated with aging. 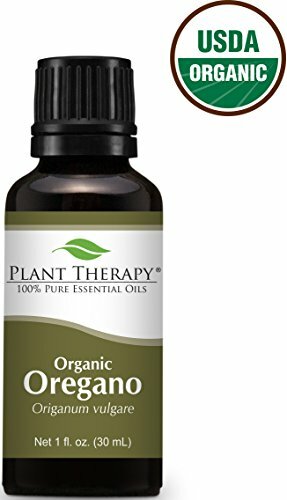 USDA Certified Organic Oregano Essential Oil. 30 ml (1 oz). 100% Pure, Undiluted, Therapeutic Grade. Organic Oregano is a very powerful essential oil and its use should be approached with care. Oregano essential oil can be used in cleaning products when seasonal illness is present. When very well diluted, it can also be used for the achy joints associated with aging. Plant Therapy Rose Absolute Essential Oil. 100% Pure, Undiluted, Therapeutic Grade. 5 mL (1/6 Ounce). Highly prized for its rich floral scent, Rose absolute is also known for its calming properties, helping to soothe emotions and bring calm in the midst of fresh grief. It can promote relaxation before sleep when diffused or applied topically diluted in a carrier. 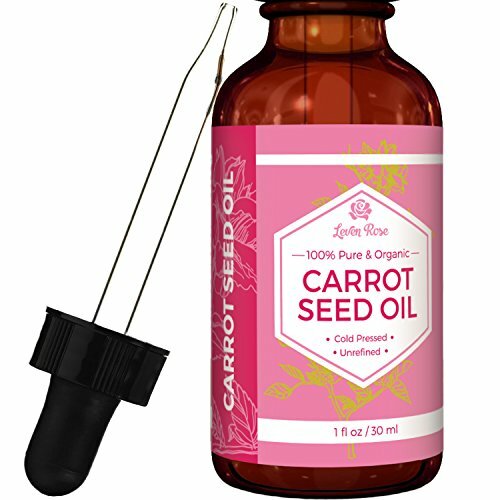 It is extremely useful in skin rejuvenation, as Rose oil counteracts the visible signs of aging, reducing the appearance of wrinkles and helping smooth skin. Rose absolute is also reputed to help with the "power surges" suffered by many women going through the normal change of life. Use a 1% dilution on the skin of the face and neck. Botanical Name: Cananga Odorata Plant Part: Flowers Extraction Method: Steam Distilled Origin: Madagascar Description: Ylang-ylang Essential Oil is extracted from Cananga odorata - also known as flower of flowers. It is a tall tropical tree about 20meters (60 feet) high with large, tender, fragrant pink, mauve or yellow flowers. The yellow heads are viewed as being the best in terms of quality. There are several grades of Ylang-ylang essential oil which are extracted at different times during the flower's lengthy distillation. These grades are referred to as extra, I, II, & III. This is the complete distillation of the oil. Color: Pale to golden yellow clear liquid. Common Uses: Ylang-ylang Essential Oil can assist with problems such as high blood pressure, rapid breathing and heartbeat, nervous conditions, as well as impotence and frigidity. Ylang-ylang Essential Oil is best suited for use in the perfumery and skincare industries. Consistency: Thin Note: Base Strength of Aroma: Medium Blends well with: Bergamot, Grapefruit, Lavender, Neroli, Rosewood and Sandalwood. Aromatic Scent: Ylang-ylang Essential Oil has a sweet, exotic, floral scent that is one of the most sought after aromas. History: In Indonesia, Ylang ylang flower petals are strewn upon the bed of newlywed couples. Ylang ylang was a popular ingredient of hair. Cautions: Ylang-ylang Essential Oil can cause sensitivity on some people and excessive use of it may lead to headaches and nausea. Plant Therapy Ylang Ylang Complete Essential Oil. 100% Pure, Undiluted, Therapeutic Grade. 30 ml (1 oz). In the language of the Malay people, ylang ylang means "flower of flowers". The gorgeous blossoms of the ylang-ylang tree bring to mind visions of the South Pacific. Ylang Ylang Complete is probably best known as an aphrodisiac. When diffused, it can help reduce worry, calm the mind, and help uplift mood. Diffuse Ylang Ylang to help calm the frazzled mind. A drop or two in the diffuser should be sufficient as the scent is powerful and heady. Add 1 drop ylang ylang, 2 drops sandalwood, and 2 drops bergamot in two teaspoons (10 ml) carrier oil for a romantic, sensual massage blend. Thyme (red) Essential Oil. 100 ml (3.3 oz). 100% Pure, Undiluted, Therapeutic Grade. Botanical Name: Thymus vulgaris * Plant Part: Leaves * Extraction Method: Steam Distilled * Origin: Italy * Description: The Thyme plant is an evergreen perennial shrub that grows up to 45 cm (18 inches) in height. It has a woody root system, a multi-branched stem, small elliptical greenish gray aromatic leaves and pale purple or white flowers. Thyme is derived from the Greek word 'thymos' that means 'perfume'. * Color: Pale yellow to reddish yellow clear liquid. * Common Uses: Red Thyme Essential Oil has been used effectively as a bactericide, antiseptic, antimicrobial, astringent, antispasmodic, antitoxic, diuretic, antifungal, insecticide, tonic, and as an immune stimulant. Thyme Oil can assist with nervous complaints, respiratory problems, poor circulation and problems of the digestive system. * Consistency: Thin * Note: Middle * Strength of Aroma: Medium * Blends well with: Bergamot, Grapefruit, Lemon, Lavender, Rosemary and Pine. * Aromatic Scent: Red Thyme Essential Oil has a fresh, herbaceous, medicinal scent. It has often been described as sharp and warming. * Directions to Use: We would recommend placing the bottle in a very hot water bath, changing the water frequently and once it is back to the liquid state be sure to shake before use. * History: Thyme was used in ancient herbal medicine Greeks, Egyptians and the Romans. It was used as incense in Greek temples and the Egyptians used it in embalming. During the Middle Ages it was given to jousting Knights for courage, and a sprig of thyme was carried into courtrooms to ward off diseases. * Cautions: Red Thyme Essential Oil should be avoided during pregnancy, or if a history of high blood pressure exists. Red Thyme contains a high amount of toxic phenols (carvacrol and thymol) that can irritate mucus membranes, cause skin irritation and skin sensitization. Niaouli Essential Oil. 10 ml. 100% Pure, Undiluted, Therapeutic Grade. Botanical Name: Melaleuca viridiflora * Plant Part: Leaves and Twigs * Extraction Method: Steam Distilled * Origin: Madagascar * Description: Niaouli Essential Oil comes from an evergreen tree with a flexible trunk, spongy bark, and pointed leaves with spikes of sessile flowers. * Color: Colorless to pale yellow liquid. * Common Uses: Properties of Niaouli include analgesic, anti-rheumatic, antiseptic, anti-spasmodic, balsamic, cicatrizant, regulator, stimulant and vermifuge. Niaouli Essential Oil is used locally for a wide variety of ailments including aches and pains, respiratory conditions, cuts and infections; it is also used to purify water. Due to its powerful antiseptic qualities it's a good choice of oil to treat skin conditions such as acne, boils, burns, cuts, insect bites and other similar conditions. It has also been used for treating respiratory problems like asthma, bronchitis, catarrh, coughs and sore throats. Niaouli Essential Oil is also used in pharmaceutical preparations such as gargles, cough drops, toothpastes, and mouth sprays. * Consistency: Light * Note: Middle * Strength of Aroma: Medium * Blends well with: Basil, Cajeput, Eucalyptus, Fennel, Juniper, Lavender,Lemon, Lime, Myrtle, Orange, Pine, Rosemary, Peppermint, Tea Tree and Thyme. * Aromatic Scent: Niaouli Essential Oil has a sweet, fresh, camphoraceous smell. * History: Niaouli Essential Oil did not appear in Europe until the 17th century. Captain Cook gave it the botanical name while on route from Australia, though the French still sometimes refer to it as "Gomenol". * Cautions: Niaouli Essential Oil is non-toxic and non-sensitizing. Avoid use during pregnancy. Wild Ravensara Essential Oil. (Agathophyllum Aromatica Madagascar) 10 ml. 100% Pure, Undiluted, Therapeutic Grade. Botanical Name: Agathophyllum aromatica. Main Constituents: Sabinene: 9.3% Plant Part: Leaves and twigs Origin: Madagascar Processing Method: Steam Distilled Description / Color / Consistency: A thin, clear, pale yellow liquid. Aromatic Summary / Note / Strength of Aroma: A top note with a medium aroma, Ravensara Essential Oil has a medicinal scent, a camphorous aroma with woody notes. Blends well with: Clove Bud, Eucalyptus, Lavender and Rosemary. Product Abstract: Indiginous to Madagascar, the Ravensara tree is a member of the Lauraceae (laurel) family. It is 20 meters tall with several buttress roots at the base, with a reddish bark that is very aromatic, and small green elliptical leaves. Its name in Malagasy means 'aromatic leaf'. It should be noted that Ravintsera (cinnamonum camphora) is not from the same species as Ravensara, and is not the same Essential Oil. May Chang (also known as Litsea Cubeba). 30 ml (1 oz). 100% Pure, Undiluted. Botanical Name: Litsea cubeba. Origin: China. Extraction Method: Steam Distilled. Plant Part: Fruits. Strength of Aroma: Strong. 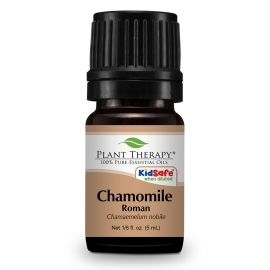 Aromatic Scent: May Change has an oily, grassy and strong lemon scent. Blends well with: Bergamot, Citronella, Clove, Geranium, Ginger, Grapefruit, Lavender, Lemon, Lemongrass, Marjoram, Orange, Petitgrain and Rosemary. Suggested Uses: May Chang is most commonly known for its euphoric, uplifting properties. It has a powerful affect on promoting mental and physical wellbeing when diffused. We recommend diffusing for 30 minutes on and 30 minutes off when diffusing all day. May Chang is also known for its antifungal and anti-Candida properties, and it is a very useful addition to blends for muscular pain. Cautions: Possible drug interactions. Best avoided when pregnant or nursing. Should not be used with children under 2. Can cause hypersensitivity. We recommend a dilution of 0.8% for topical applications. Please Note: The International Federation of Aromatherapists does not recommend that Essential Oils be taken internally unless under the supervision of a Medical Doctor who is also qualified in clinical Aromatherapy. May Chang (also known as Litsea Cubeba). 10 ml (1/3 oz). 100% Pure, Undiluted.